Breakfast is the most important meal of the day, they say. Whether you prefer a sweet or savory breakfast, you’ll find something here to satisfy your appetite. The best breakfast recipes give us a good jump-start to our day and taste great. But they’ve got to be easy to make, too! Whether you prefer a starchy, sweet breakfast like pancakes and waffles, or like to charge up with a protein-packed meal, you’ll find something here to try. 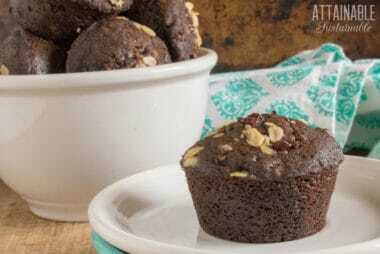 Easy grab-n-go options (hey there, muffins!) are perfect for breakfast on the run or for tucking into a lunchbox. Skip the packaged cereal and try making your own granola; you’ll be amazed at how much you save at the grocery store checkout. And if yogurt is your preferred breakfast meal, this no-measure version for making your own is easy and tasty. 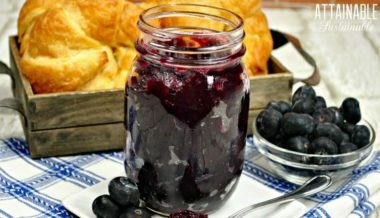 Scroll through some of the best breakfast recipes (in my opinion!) here or use the search function at the top of the page to find a specific recipe. This banana bread has a slight tang of sourdough and isn’t overly sweet. It’s mixed in one bowl, which means a nice healthy snack with fewer dishes to wash. 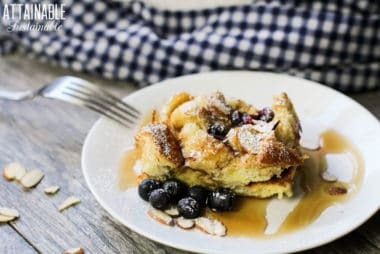 This blueberry French toast casserole makes it easy to serve everyone at once. 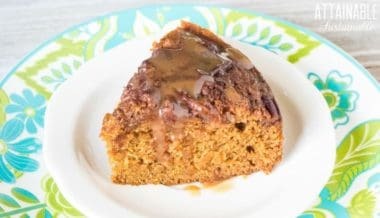 A make ahead French toast casserole, it’s easier than flipping slices! 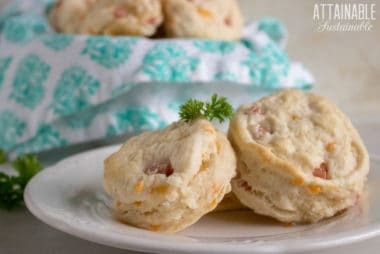 When there’s leftover ham to use up, these easy homemade buttermilk biscuits are the perfect solution! They’re tasty and great with a nice warm soup. 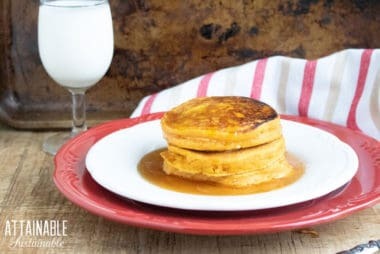 These persimmon pancakes are a tasty way to use persimmons from your backyard tree. When they’re ripe in the fall, mix up a batch of pancakes for breakfast. Their spicy, warm flavor is perfect for a cozy breakfast with the family. Sometimes you just want a plate full of hotcakes for breakfast. 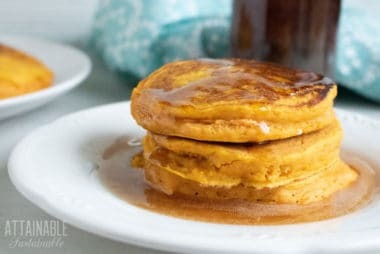 These easy pumpkin pancakes make for a hearty breakfast with a little bit of sweetness! 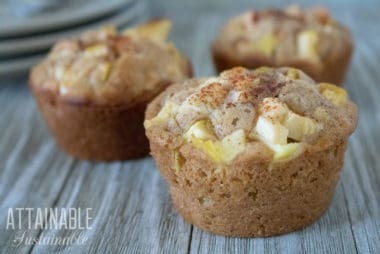 They’re a perfect addition to pumpkin spice season, made with wholesome ingredients.